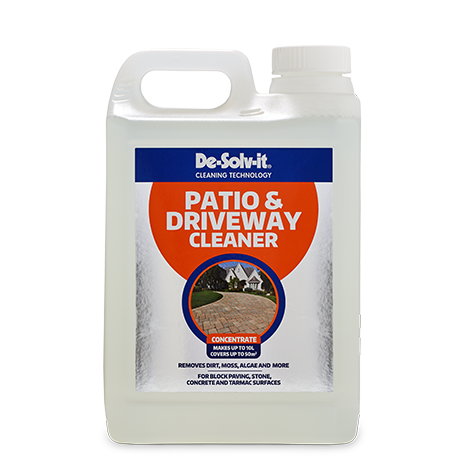 De-Solv-it® Driveway, Concrete & Masonry Cleaner Concentrate provides fast and powerful cleaning of driveways and concrete surfaces. 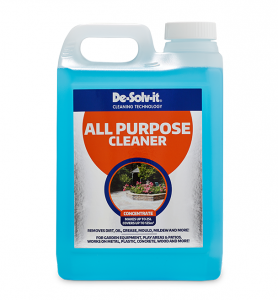 Cleans hard-to-remove stains such as algae, dirt, moss and more. 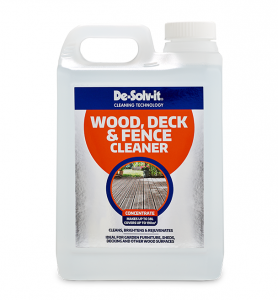 For use on: concrete, masonry, and asphalt driveways, paths and patios. 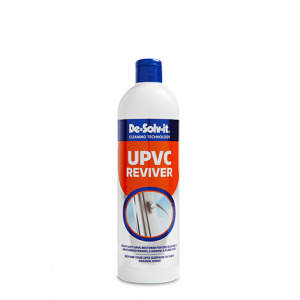 Not for use on: painted and stained surfaces, aluminium, brass, chrome, copper and other alkaline sensitive surfaces. Hi Alan. Thank you for getting in touch. 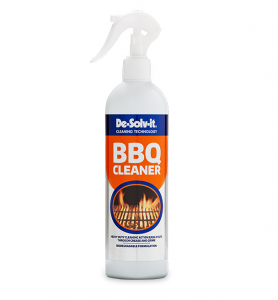 De-Solv-it® Patio & Driveway Cleaner is currently available through a number of Tesco stores. Test product for surface compatibility in an inconspicuous area before use. 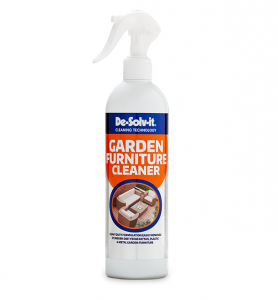 Protect surrounding plants and grass from splashes. Do not allow pets/animals on areas being cleaned until rinsed. 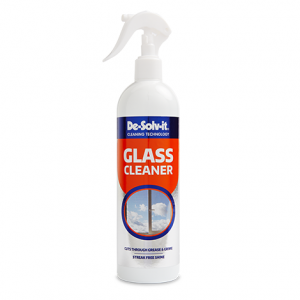 Apply directly to the area to be cleaned. Scrub in with a stiff brush. A second application may be required if all soiling has not been removed. 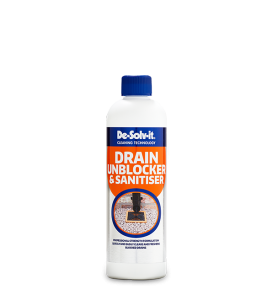 For general maintenance or lightly contaminated area use dilution ratio 1:1 with water.